Social media is just a buzz these days as the usual social networking channels such as Facebook, LinkedIn, and Twitter are only getting more dominant. So to be seen or heard as quick as possible, it’s now ideal to use their various Pay Per Click (PPC) ad platforms to get immediate exposure for your concern. Doing so is now becoming the preferred choice for online advertisers who are looking for fast targeted results. Although there are distinct similarities between social media PPC and traditional search PPC, there’s differences as well. Usually, social media PPC will appear more like a display ad than a search result, while not really acting like display. Social media PPC has now forged its own protocols when it comes to online advertising success. If you’ve used conventional search PPC in the past, then you’ve most likely struggled to get targeted impressions. 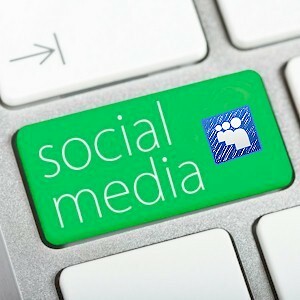 Social media PPC although similar, has their own distinct qualities as well. What the power of Facebook PPC has is its ability to pinpoint precisely your target demographic. With traditional search PPC, what you did was target keywords, but with social PPC, what you’re creating are persona’s. The ability to laser target is the advantage that Facebook PPC has, this provided you get it right. Begin by creating and then managing your audiences in Facebook’s “Power Editor,” (only currently available on Chrome). Then run and test your ads by using specific messaging for your targeted demographic groups. What doing so does is it controls your ad spend especially if your campaign happens to be new. Doing so also helps in speeding up the creation of new ads, this by already having established audiences to test on. Since reaching your target audience is proving to be a challenge, this especially if you’re a B2B advertiser, what’s recommended is that advertisers need to get extremely creative with their targeting. The majority of the Facebook PPC tips transfers over to LinkedIn as well. But what LinkedIn offers is its own unique opportunities for advertisers, this when it comes to audience targeting. On LinkedIn, it’s the LinkedIn Groups which rule. Targeting groups, along with job titles, and interests, has proven to be highly effective. It’s recommended that LinkedIn advertisers need to overlay their targeting for increasing relevance. For instance, Industry, Seniority, and Job Function, are excellent ones to try, as they’ve already been proven successful. One tip from a social PPC expert suggested that advertisers target Facebook and LinkedIn audiences by using Google Display Network, which is layered with contextual keywords. This since Facebook and LinkedIn both uses GDN to backfill their display inventory. So if you’re wanting to try out social PPC, try using GDN, which is also a platform that you may be more familiar with. Another tip is prioritizing your audience and then creating different campaigns based on this prioritizing. For instance, if you have a “hot” prospects list and a not so hot prospects list, then create separate campaigns for each audience on Facebook, LinkedIn, and Twitter. What this allows for is you to use different ads, bids, and budgets for each category of audience, this much more easier than just lumping them all into one broad list. Twitter Ads poses a completely different optimization challenge, this since the majority of their promotional options focuses on tweets, handles, or hashtags. The most carefully crafted tweets works extremely well, but there’s no effective way of split-testing them in the ad environment. But this is where Twitter’s Lead Generation Cards comes in. These are “cards” which are like ads within a tweet. You set up a lead generation card, and then send your promoted tweets on them. What these lead generation cards are most effective for is driving email signups, distributing white paper or PDF downloads, along with other popular lead gen activities. What’s known as “Ad burnout,” which is repeatedly seeing the same ad in high impression social media PPC networks, can become a problem. So it becomes important to keep your ads as fresh as possible, which generates better CTR. The use of images in social media PPC ads also creates a new level of complexity for advertisers, this especially for those who primarily use text ads. Finding the proper effective images has proven to be a challenge for these advertisers when attempting to combat ad fatigue. Generating attention particularly in Facebook ads has proven to be a difficult thing to do. For instance, it’s proven that images of attractive women who are smiling will tend to get more clicks, but usually not for the right reasons. What this then does is it drains out your ad budget, but clicks it will get. It’s also found that the most effective ads are woman who’s looking directly at the call to action button. While this may sound frivolous to most, it’s proven to work and is completely legitimate. People are just naturally drawn to others by instinct. Our eyes will naturally follow another person’s eyes, and the more suggestive that the image is, it will get more attention. Even for the more business orientated LinkedIn environment, using suggestive images has proven to either make or break an ad. So make sure that you choose them carefully, while testing them relentlessly. Using images has proven to have other editorial challenges, such as Facebook limiting text in an image to be no more than 20% percent of the image. But there are ways to workaround this. The key is to always be testing, then test again.